The conservative lady in your life probably prefers pearls. They suit both a professional look and an elegant one. 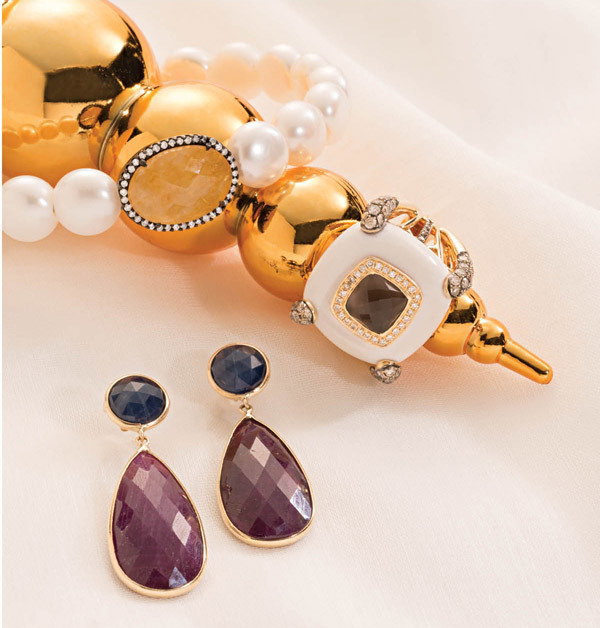 Shown here: Pearl cuff bracelet centered by sliced sapphire oval surrounded by diamonds and black rhodium plate; 18k yellow gold, white agate ring with cushion cut smoky quartz haloed by white and chocolate diamonds; and 14k yellow gold sliced sapphire double drop earrings. Sliced sapphire drop earrings surrounded by 1.37 carats of diamonds are the perfect accent for your lady’s long tresses—they can be casual or elegant. Oversized 14k gold, 2.90 carat pavé diamond ring is a striking complement, but fashionable enough to stand alone. It’s the one thing he needs and can’t get for himself: Time. 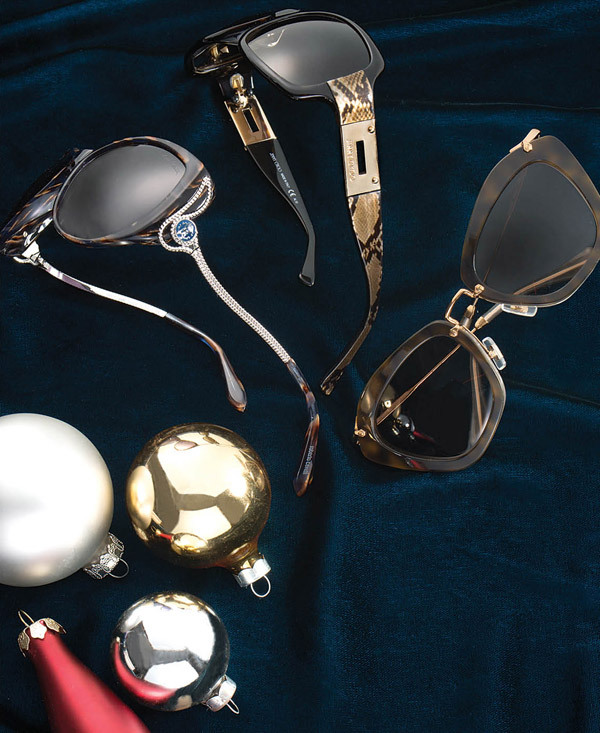 These pieces are the stuff of heroes who can get it all done and still make it to cocktail hour without breaking a sweat. 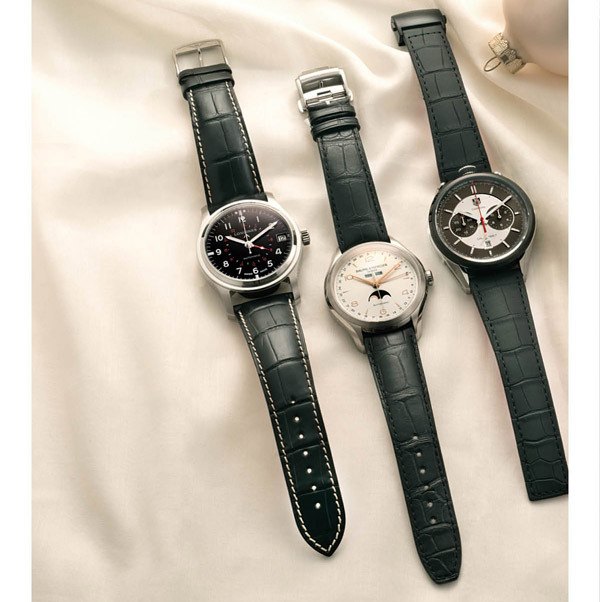 Perfect for business or casual, with a twist (left to right): Longines Heritage Aviator 44mm black alligator strap watch has retro appeal, Baume & Mercier Clifton moon phase 43mm automatic strap watch is classically dapper and TagHeuer Calibre 1887 Jack Heuer Edition automatic chronograph speaks to the sportsman. 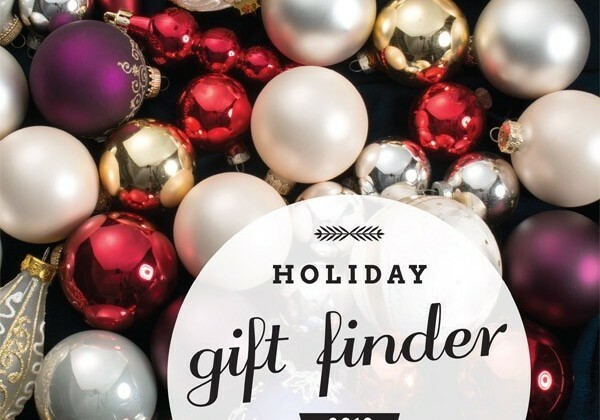 This is a good time to surprise the special photographer in your life. Canon’s most popular cameras are the EOS 70D, for the more advanced photog (left), and the EOS Rebel SL1 for everyday captures (right). 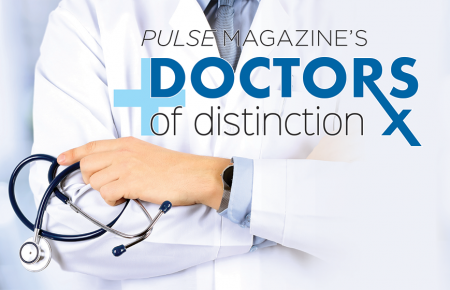 Special offer for Pulse readers: Use promo code lipulse50 to save up to 10 percent at shop.usa.canon.com/lipulse. 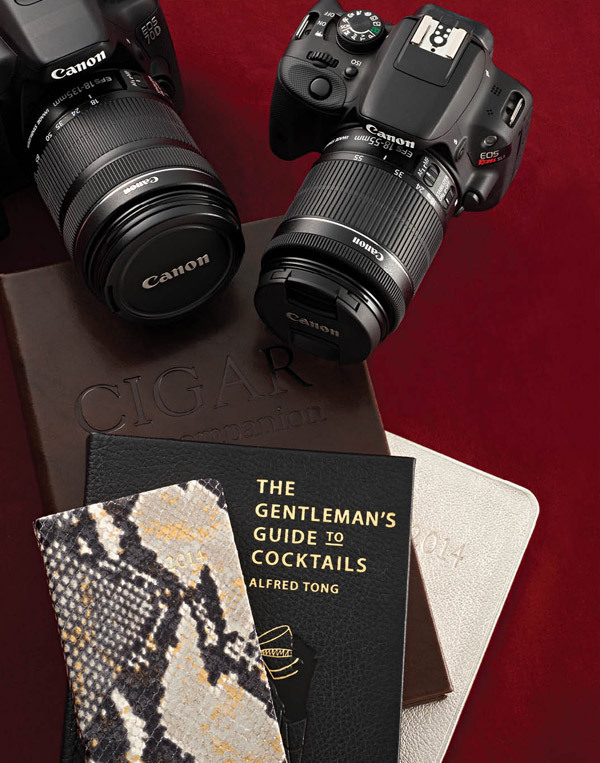 Leather-bound books make for sleek, thoughtful gifts; ideal for colleagues and clients as well as those deserving a token of thanks. In addition to the planners and specialty books shown here, Scrabble dictionaries, sports and art-themed guides are also available. Prices range from $38-$145 at Graphic Image, Melville, personalization available. 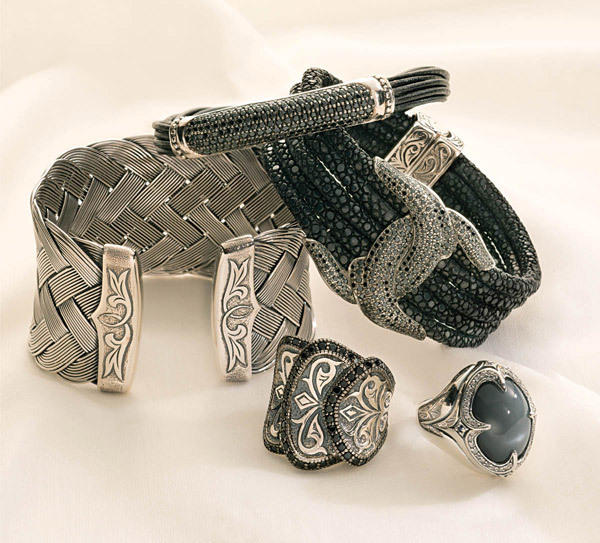 Stephen Webster men’s jewelry has evolved into an absolute for men whose tastes run more rock ‘n’ roll than freestyle. 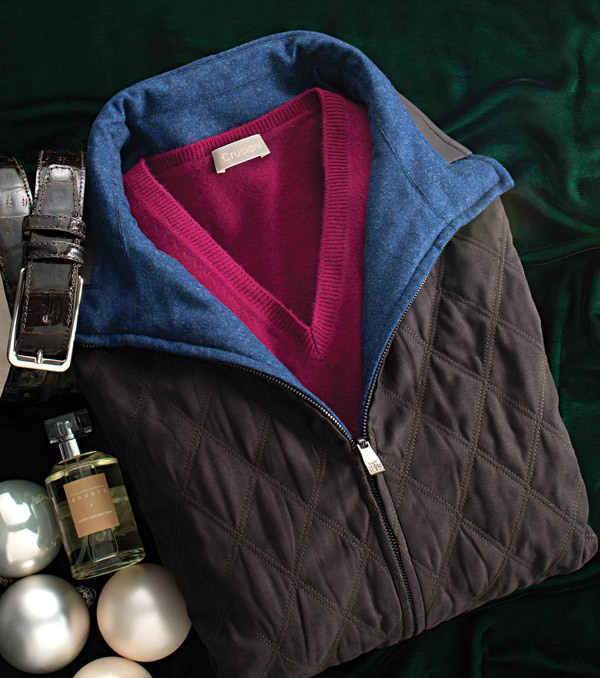 The pieces are edgy and distinctive for the man with a strong sense of self who doesn’t take himself too seriously. 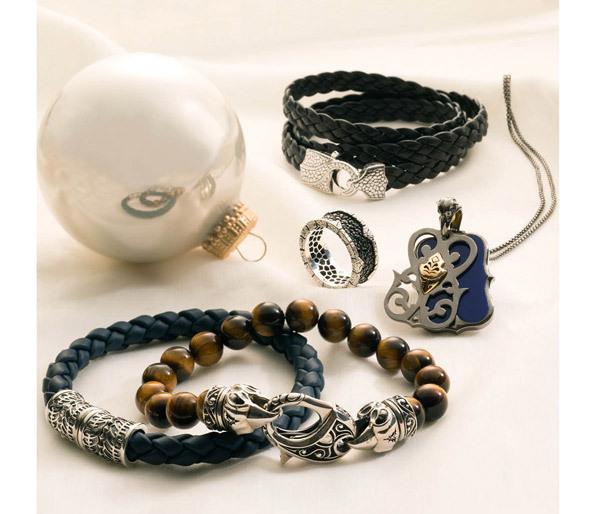 Shown here: Sterling silver braided stingray skin and leather-wrap bracelet (top), Highway sterling silver manband with 3.44 carats of black spinel (ring), London Calling blue lapis decorative dog tag with sliding blackened sterling silver face and white gold plated accent, Rayman blue braided bracelet with magnetic accented clasp (left) and London Calling sterling silver and tiger’s eye bracelet. 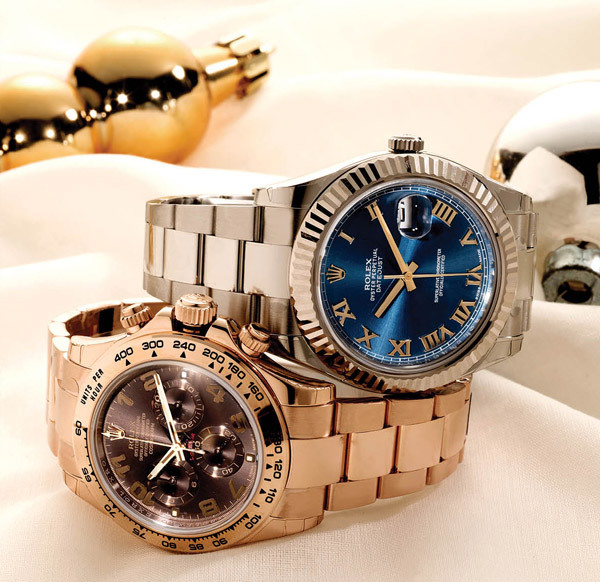 Sometimes, nothing says it like a Rolex—status, but never stuffy. Something about the way the dial is proportionate to almost any male wrist sets this brand apart. Rolex’s Oyster Perpetual pieces are the harmony of state-of-the-art technology and a heritage of watchmaking expertise. Each one is scrutinized and tested, a purchase with assurance. Shown here: 18k white gold and stainless steel Datejust II (top) and 18k rose gold Cosmograph Daytona (bottom). ‘Tis the season to be moisturized. Marotta Facial Plastic Surgery, (631) 982-2022, offers a signature line of skin care full of everyday essentials. 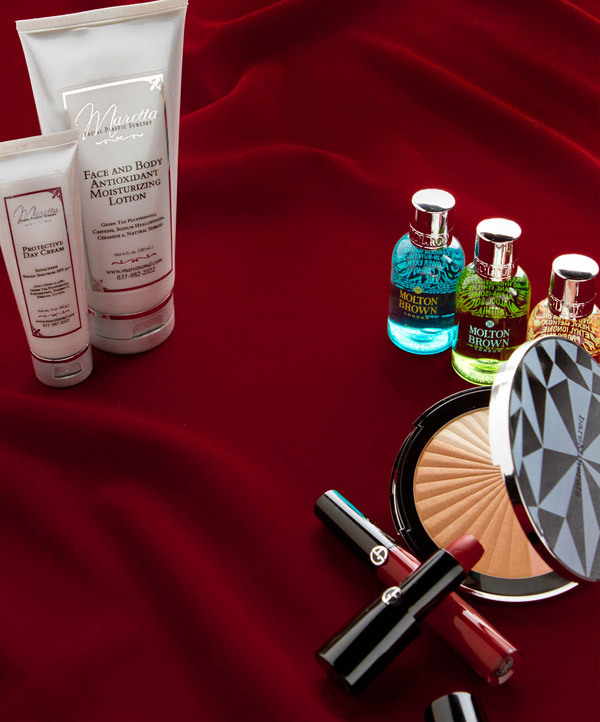 Face and Body Antioxidant Moisturizing Lotion, $38, and Protective Day Cream, $29. There are some women who are just a little more adventurous than the others. A little more daring…a little more willing to break the rules. If you are shopping for this lady (or you are her), Scott Kay is your man: Black spinel bar leather bracelet with accented clasp (top), woven wired cuff bracelet (left), Guardian stingray bracelet with black spinels (right), three tier Sparta ring with black spinels (left) and grey moonstone and white sapphire ring (right) are all finished with sterling silver details. 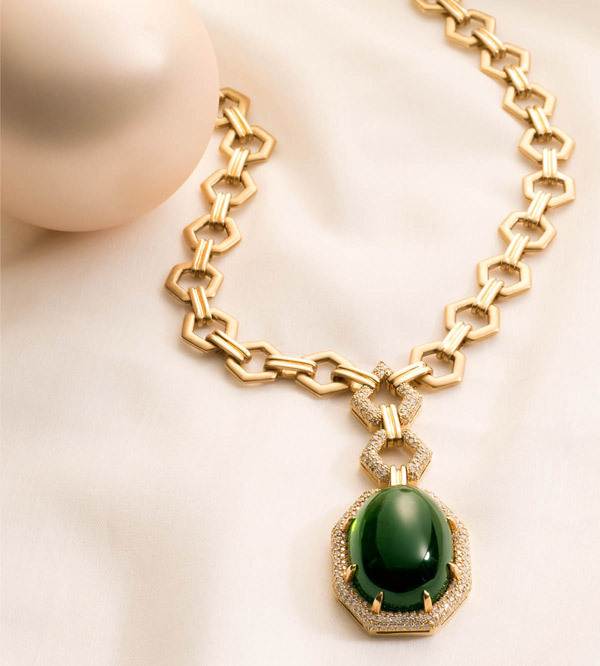 There are some pieces that speak to a woman’s sense of timelessness and individuality—this is one of them: The 69.96 carat cabochon green tourmaline center stone hung from 18k yellow gold necklace and surrounded by 3.26 carats diamonds. 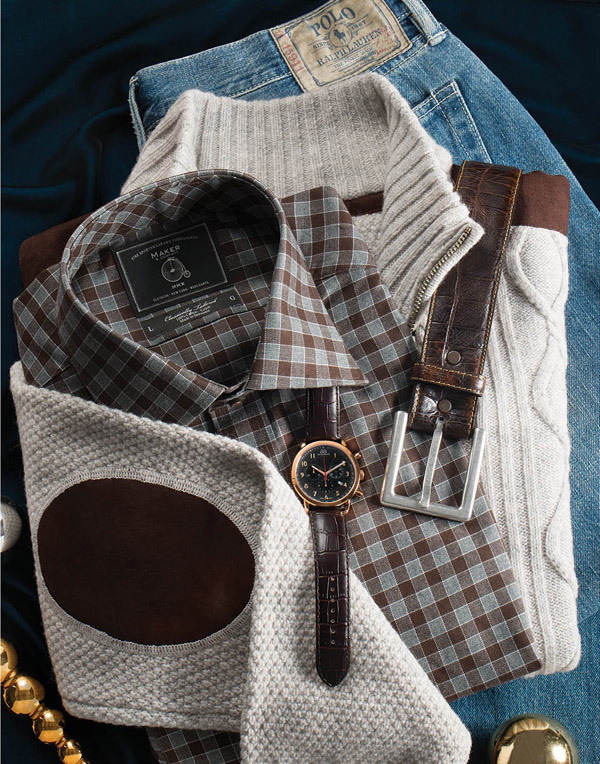 For the rugged man who prefers the simpler things: Maker & Company brown plaid cotton shirt, $90, and lamb’s wool cable knit sweater with microsuede patching, $150; Polo Ralph Lauren Classic 867 jeans, $98; and Torino Leather brown embossed calf belt, $95. 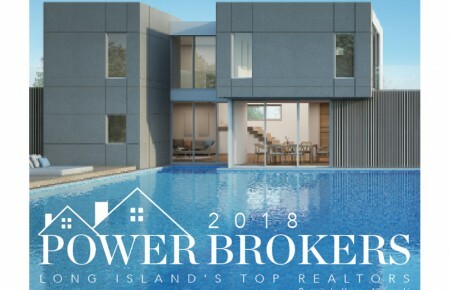 All available at Renee’s in Mattituck, (631) 298-4223. 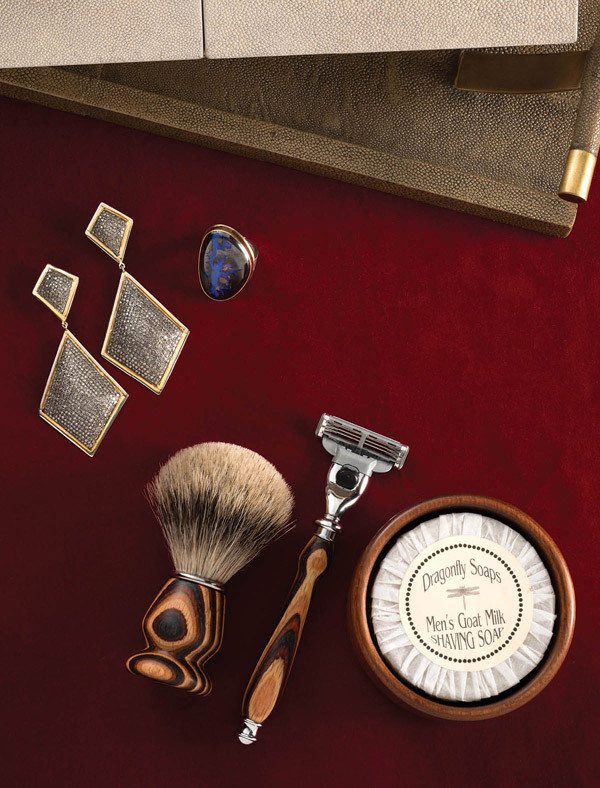 Cuff links are just one of those things that tell the world a man is paying attention. 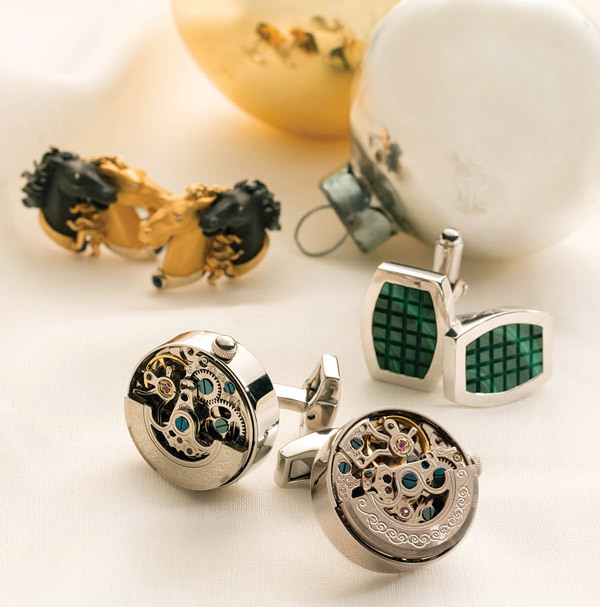 This holiday season, forego the trite tie gift for something a little more surprising: Estate collection horse head cufflinks by Carrera y Carrera in 18k, two-tone gold and black anodized steel with four diamonds and four cabochon sapphires (top), sterling silver cuff links with hand-carved malachite face (center) and Italian cuff links with stainless steel mounting and automatic watch movement (bottom). Shopping for your sweetheart is a careful practice when the lady in question is fashionable (not flashy). This line is just right, a collection that is safe from the missteps of yesterday’s “matchy-matchy” but assembled with care: 18k yellow gold triple strand cuff bangle with .60 carat diamonds and double strand cuff bangle with .85 carat diamonds (top), 14k white gold wide filigree 1.40 carat diamond ring (center), 14k yellow gold oval dangle filigree earrings with .50 carats diamonds (right) and 18k white and yellow gold bamboo style cuff bracelets with 1.93 carat diamonds each (left). 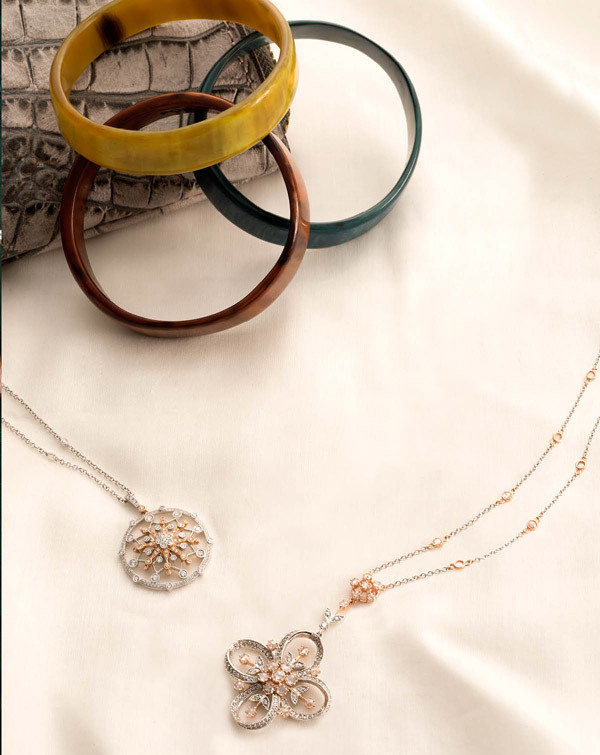 Graceful, understated and fun, these pieces transcend age and style. 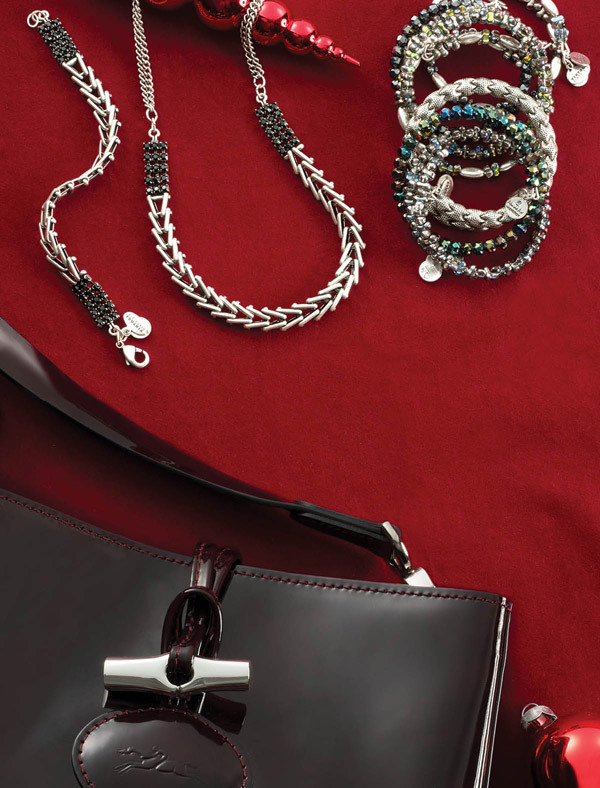 Appropriate for almost any situation whether worn together, separately or mixed with other jewelry. 14k yellow gold with black rhodium earrings feature .35 carat white diamonds and 1.65 carats cognac diamonds. 18k yellow gold necklace with 2.23 carats of diamond slivers are surrounded by .47 carat of round diamonds. And 18k yellow gold ring with black mother-of-pearl and rutilated quartz doublet is surrounded by .27 carat of diamond. 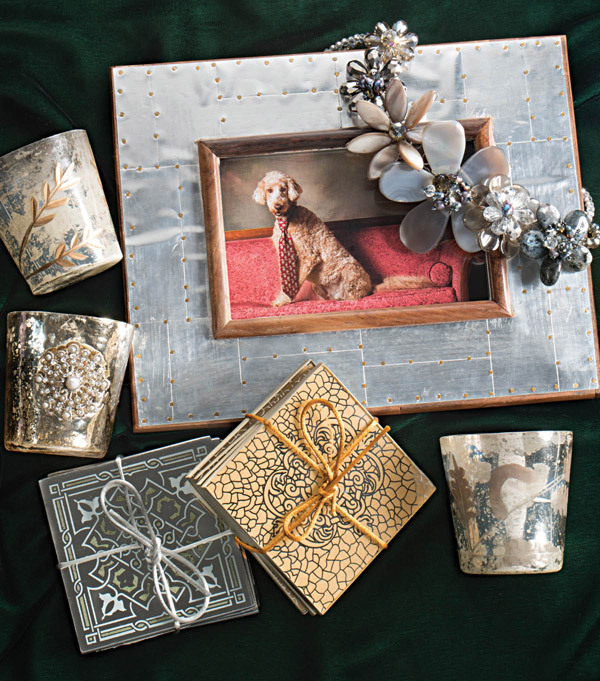 Show your appreciation for all the little things that a co-worker, employer or client has done with a token of sophistication: Shiraleah industrial picture frame, $38; bedazzled votives, from $18 each; silver and gold glass coaster, $32 each set of four. For a more confident, personal touch, this floral beaded necklace, $78, is like gifting a wearable English garden. 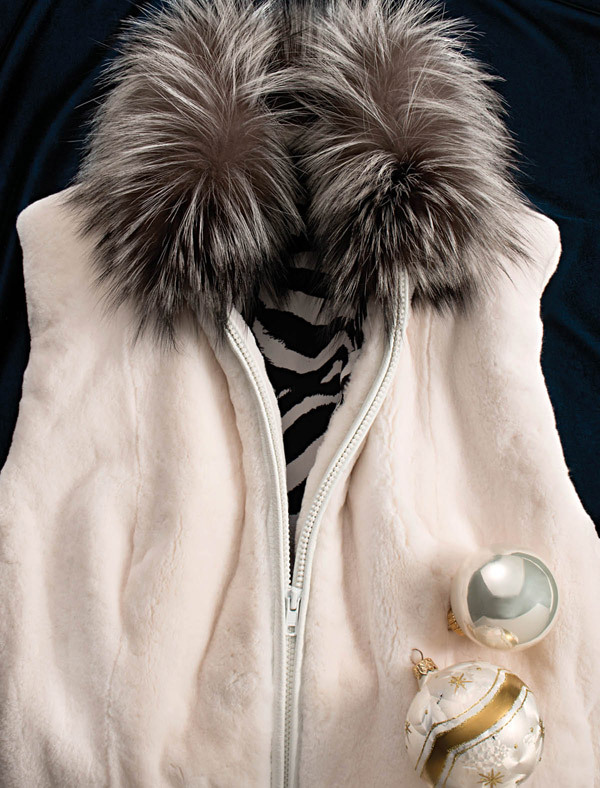 Renee’s of Mattituck, (631) 298-4223, will also wrap and ship for you if you ask them.